It's been a while since I built any houses and it was difficult to start again. 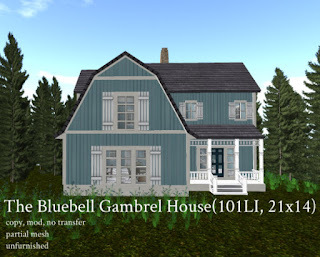 The Bluebell Gambrel House is my fourth attempt. 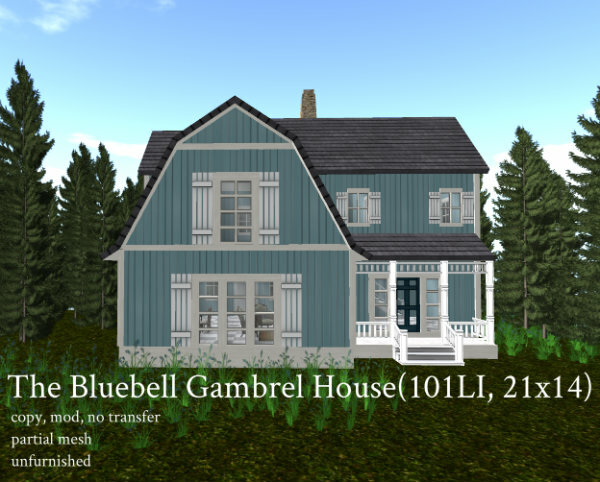 I realised I love building cute houses instead of big expansive houses and The Bluebell fits snugly on a 21x14 plot. 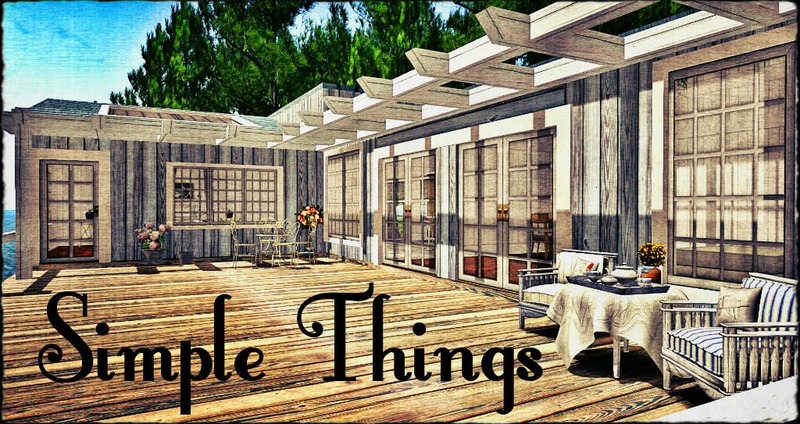 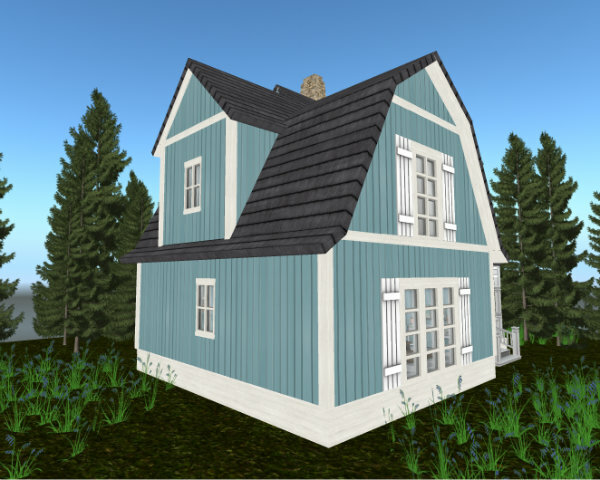 Of course it would be better to fit on a slightly bigger plot so that you can add trees and flowers around the house. 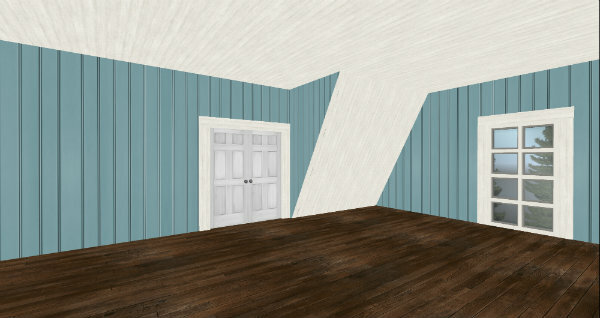 A view of a side of the house. There are 2 rooms on the upper floor, This is the bigger room with double-doors. 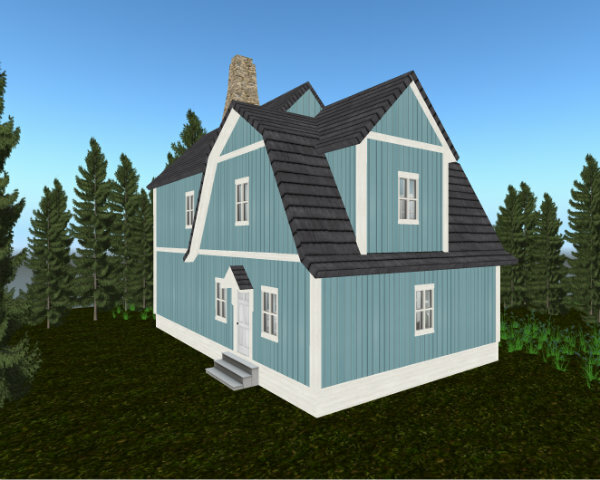 This house comes in a rez box. 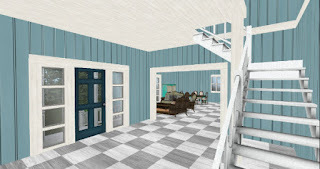 This house is available for 199L at my in-world store and the Marketplace. 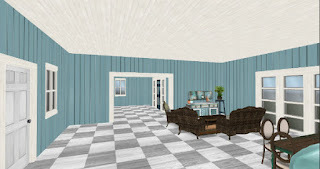 A demo of this house is also available for viewing at my in-world store.